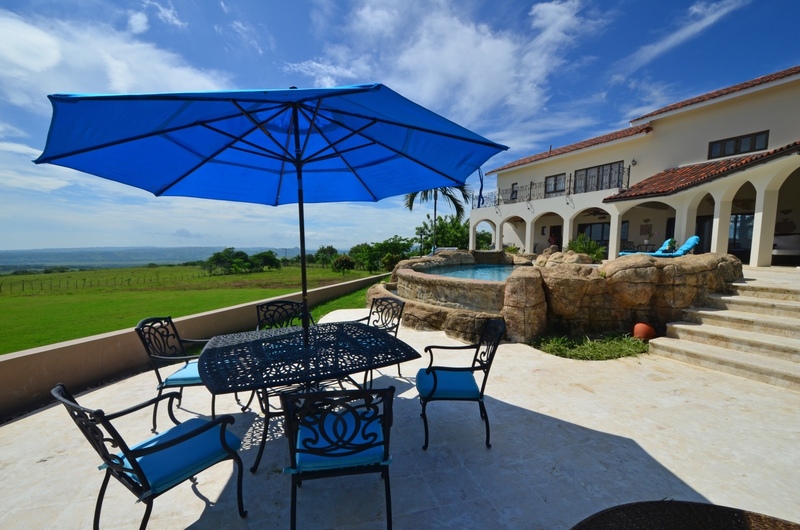 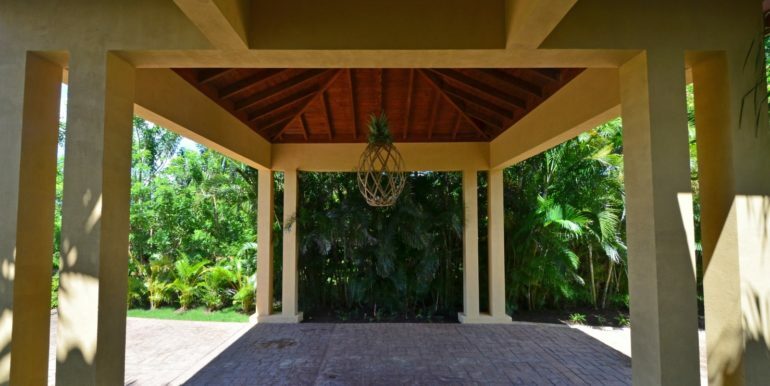 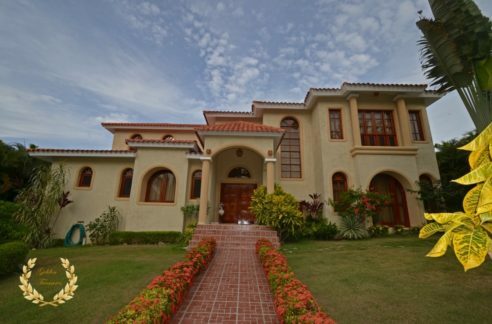 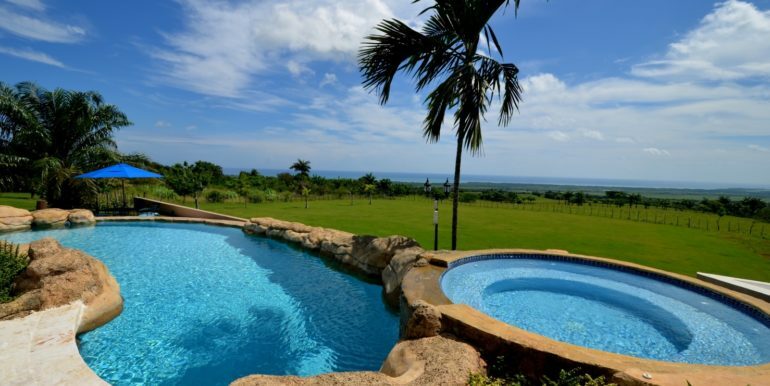 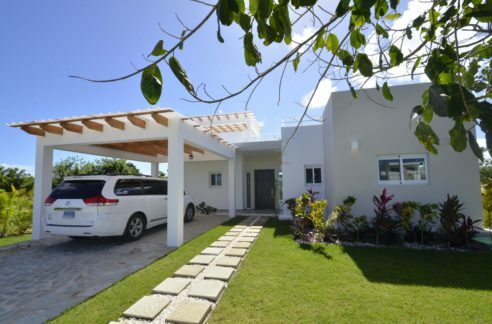 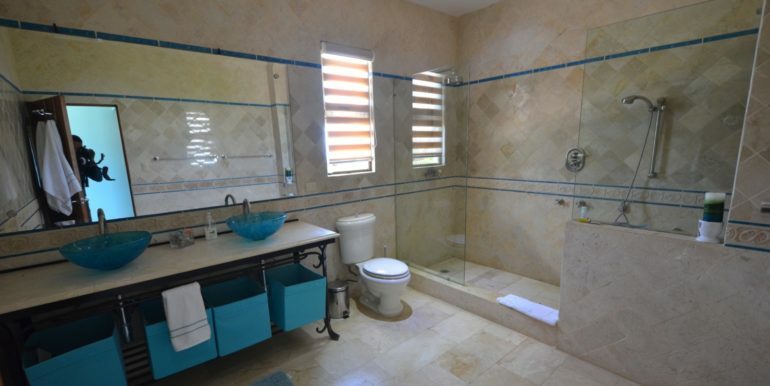 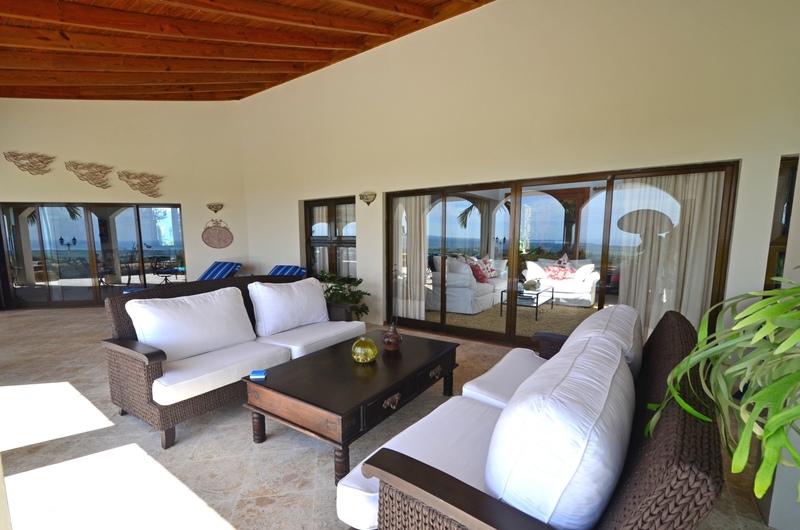 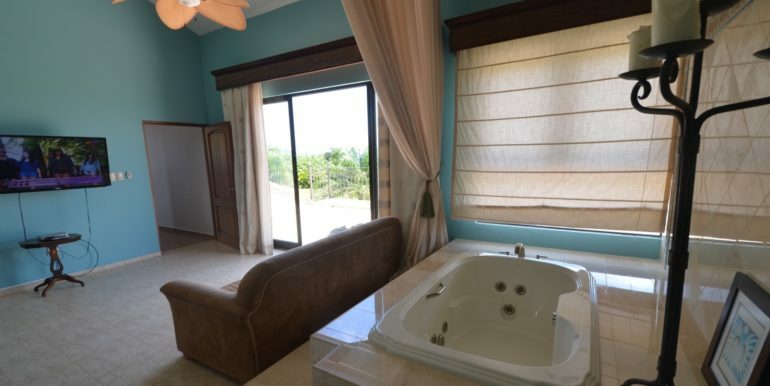 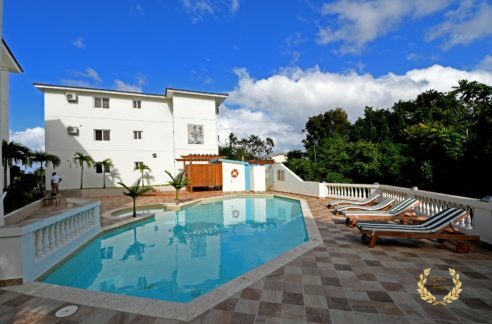 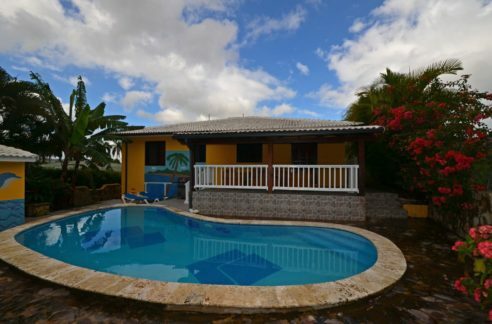 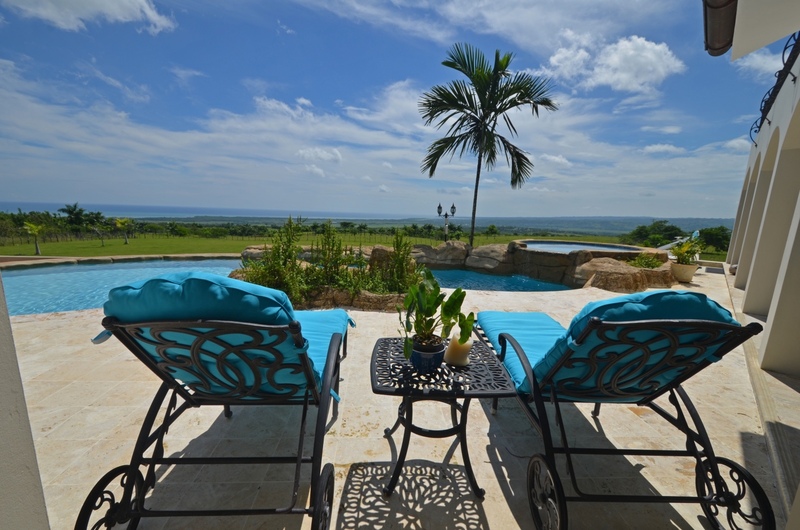 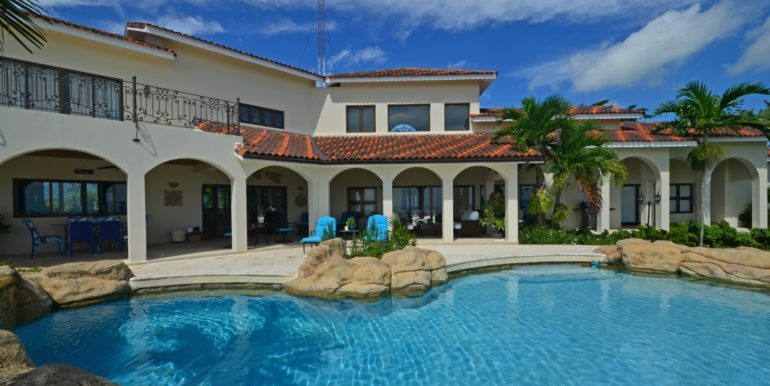 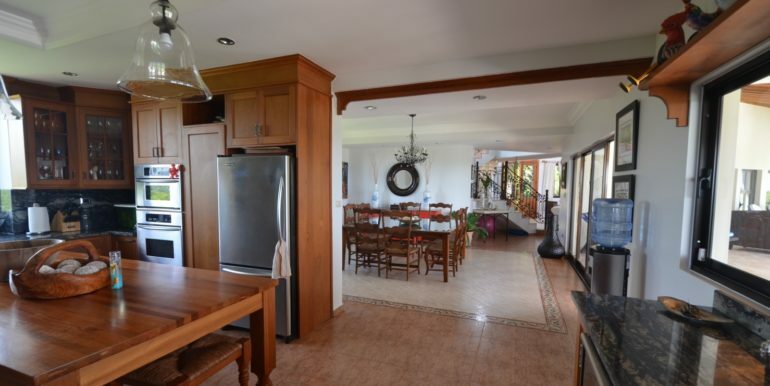 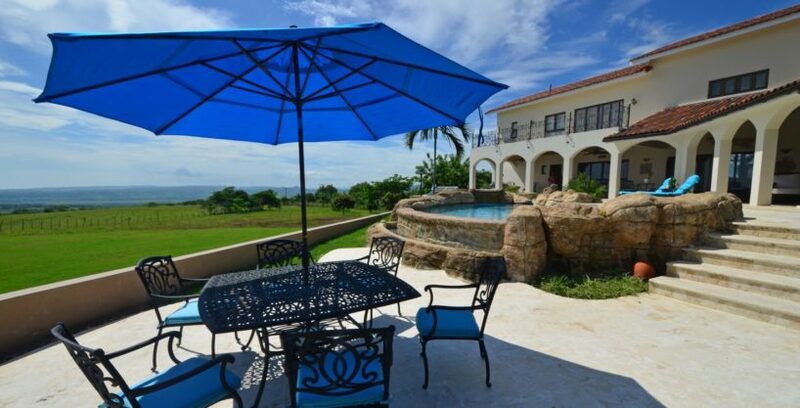 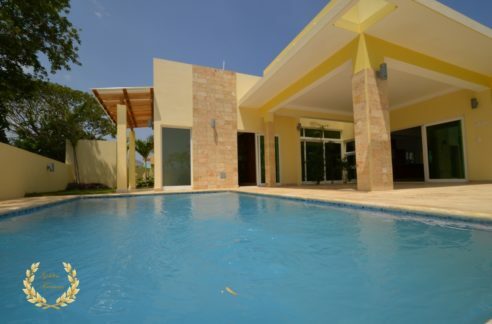 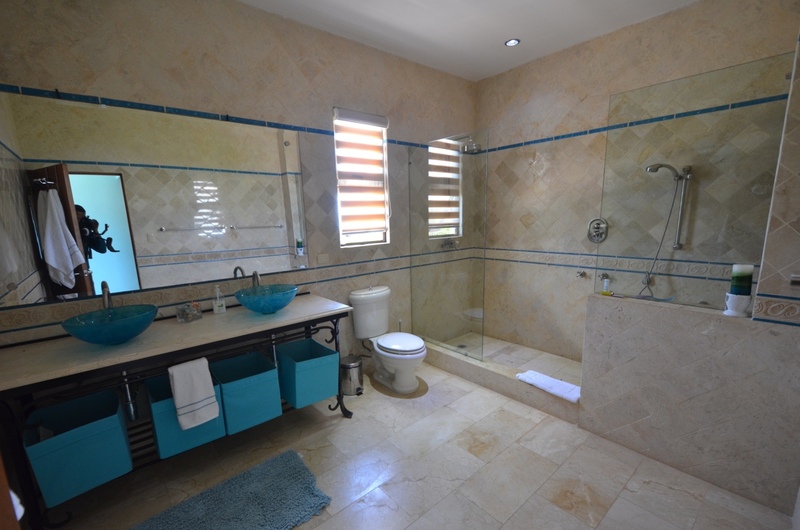 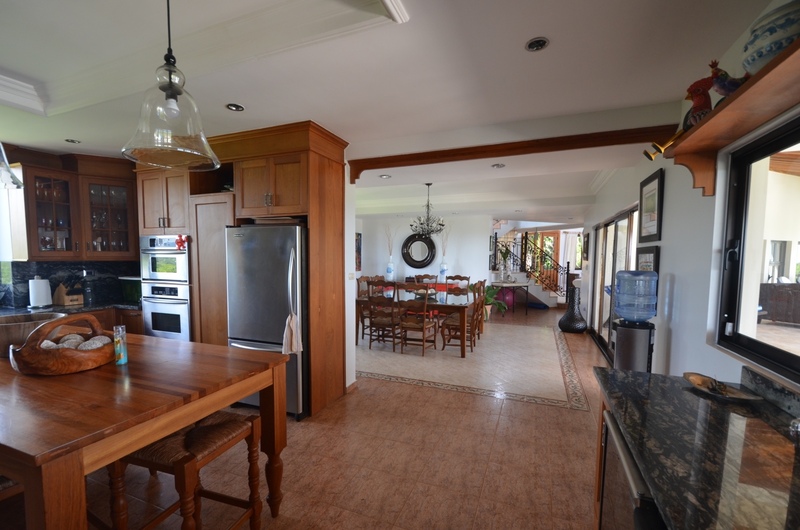 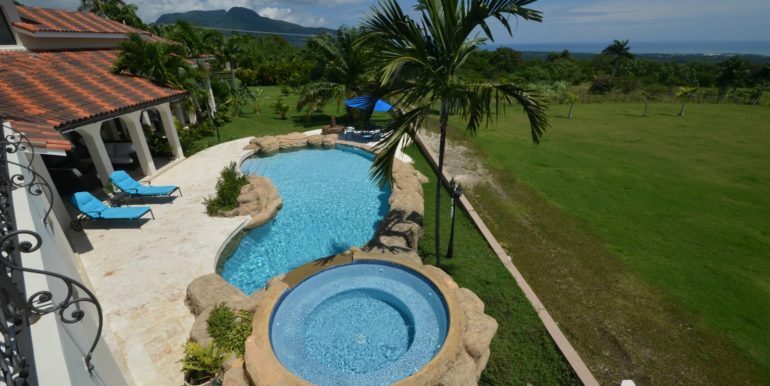 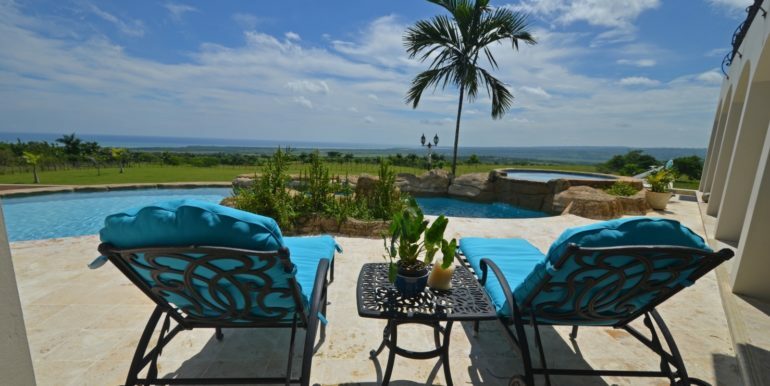 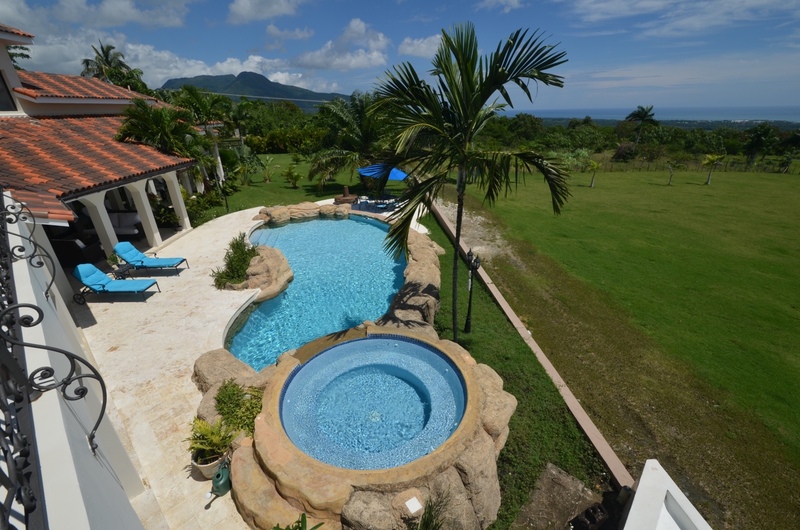 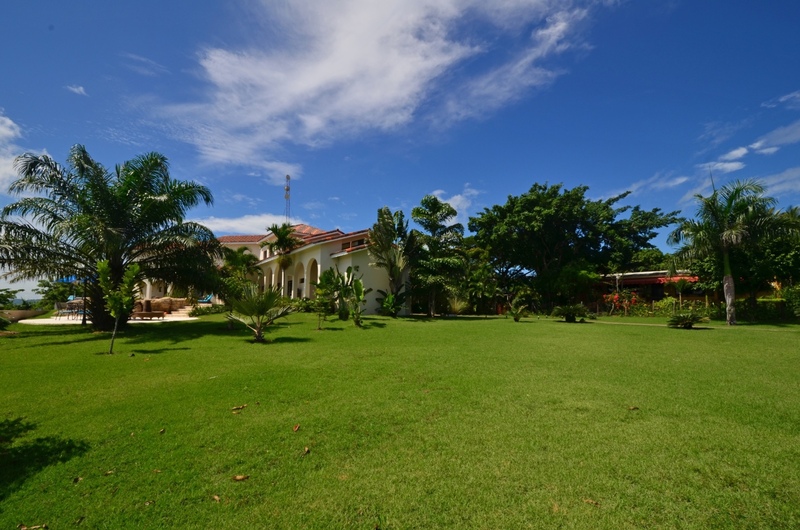 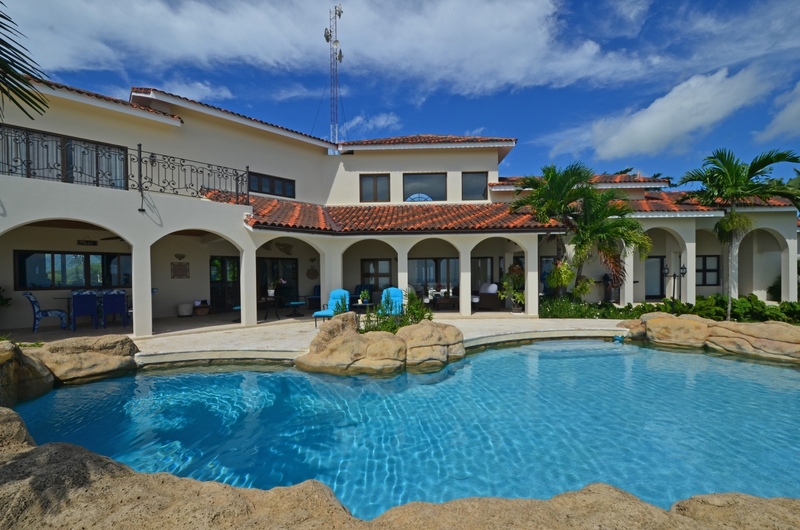 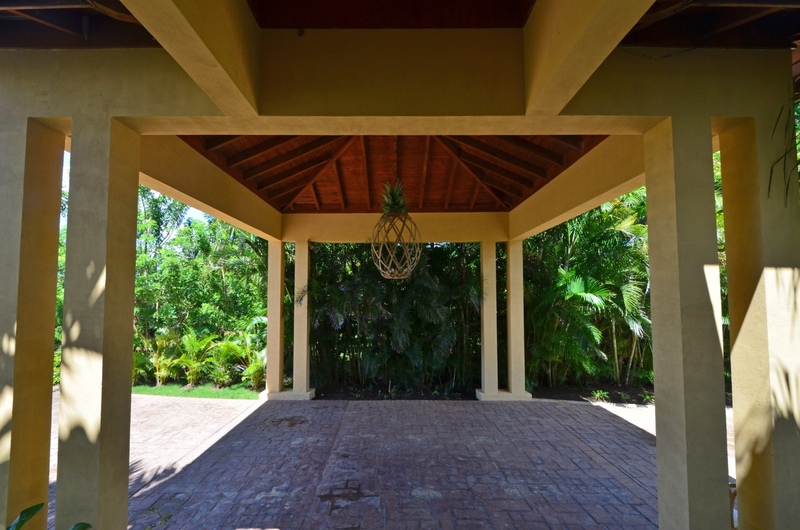 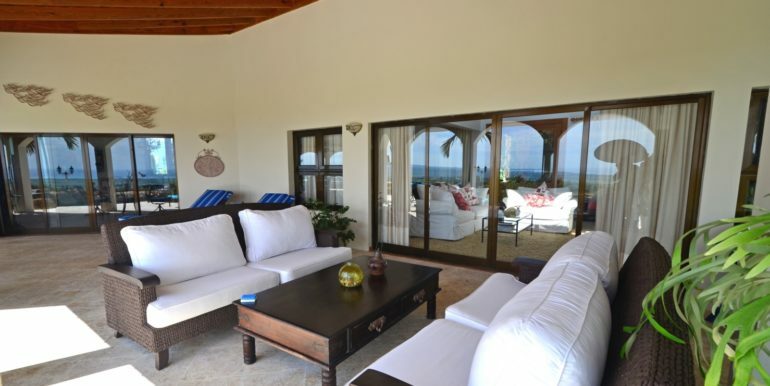 This luxury villa in Puerto Plata might as well be among a selected group of properties for sale in any top ten list, given its design, finish materials and amenities. 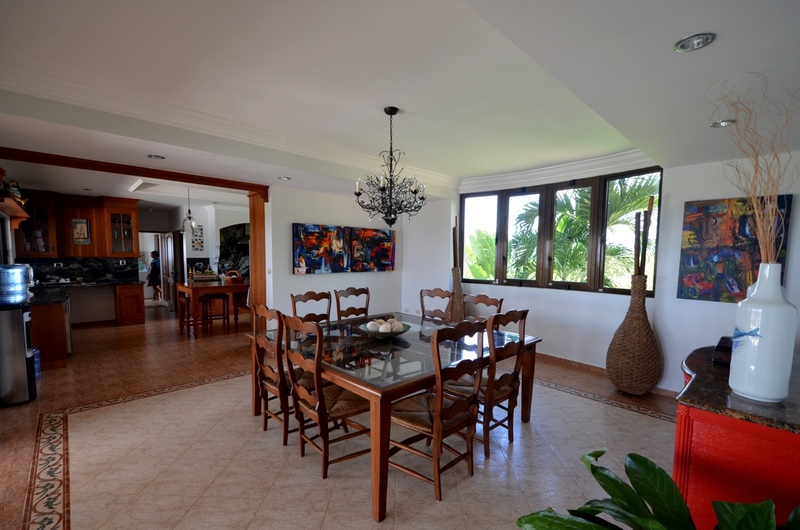 Its fine architecture is distributed among 2 floors and a basement garage with storage, all spread to keep the panoramic views unobstructed from many areas inside and outside the house. 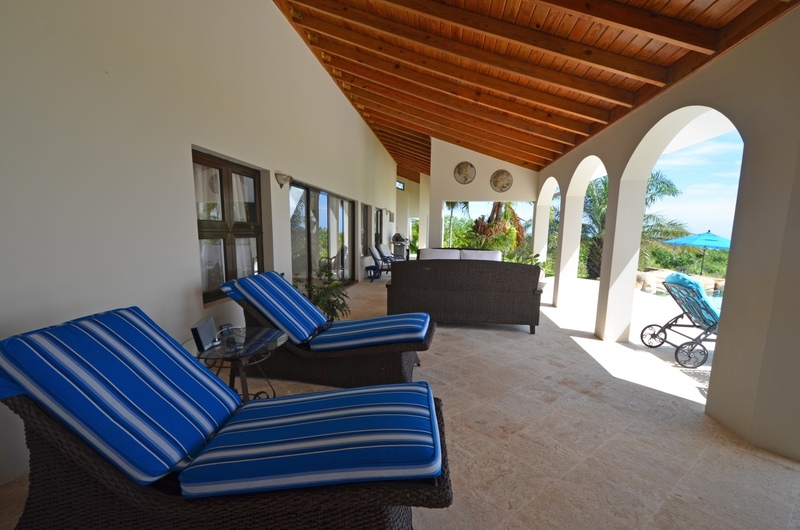 The first level has a extensive garden area that leads to a deck with custom design swimming pool, Jacuzzi, and an arched colonnade with very spacious verandas that combine several areas, including a visitor`s bathroom. 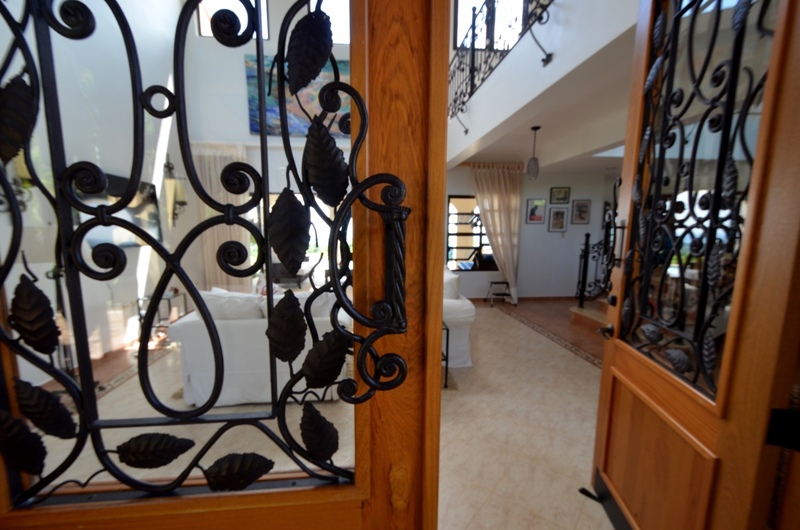 The living room shows exquisite flooring style, wrought iron work design in fine wood doors and a fine attention to detail in every aspect of the décor. 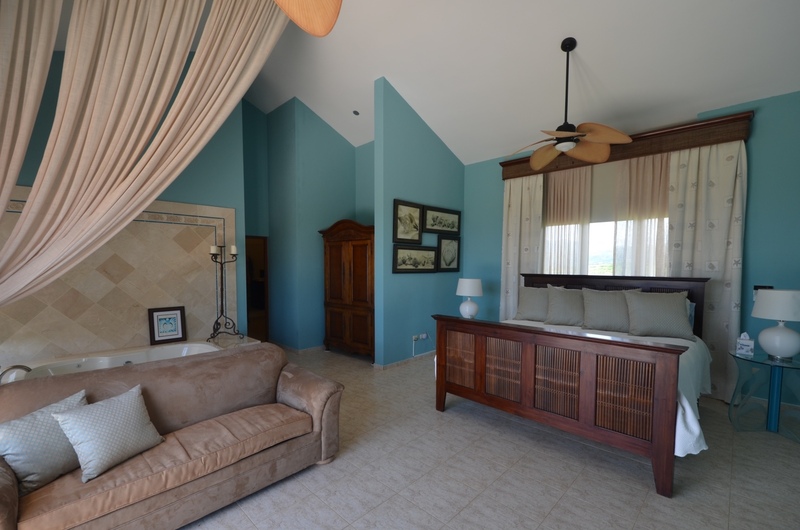 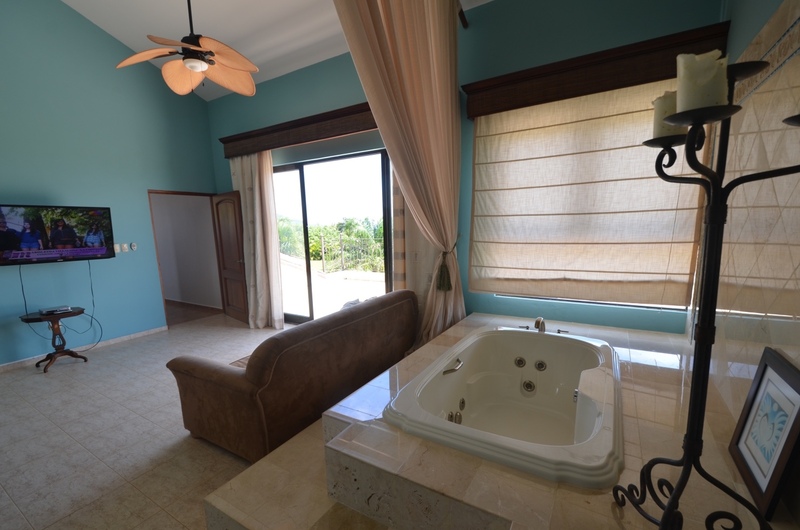 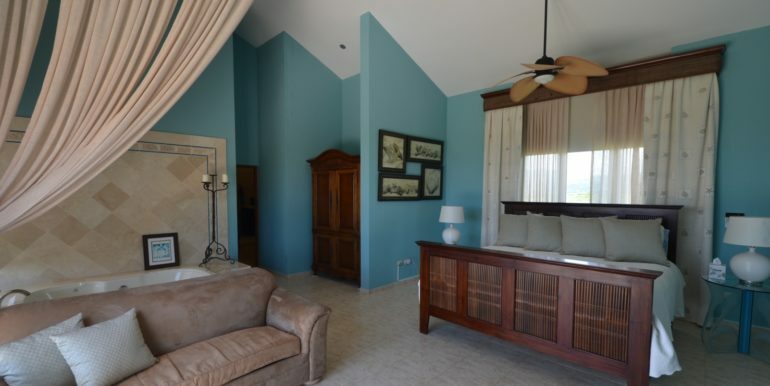 There are 2 bedrooms in the second level and 2 in the first level, all with private bathrooms. 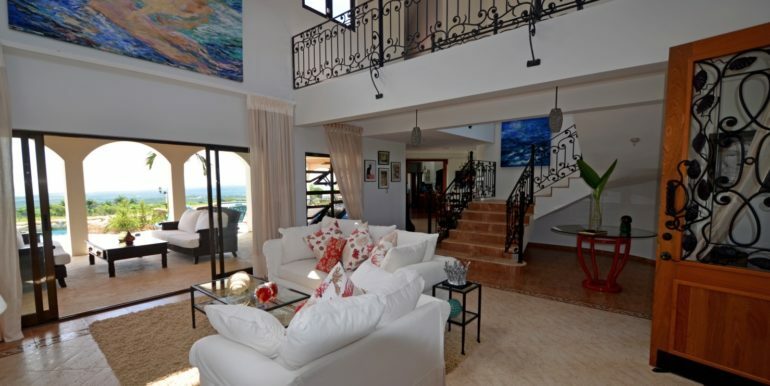 A staircase with two tone marble and custom design railing leads up to the second level where the main suite is a feast for the eyes with its ensuite Jacuzzi, bathroom, and oversized balcony overlooking the swimming pool and ocean vistas on the horizon. 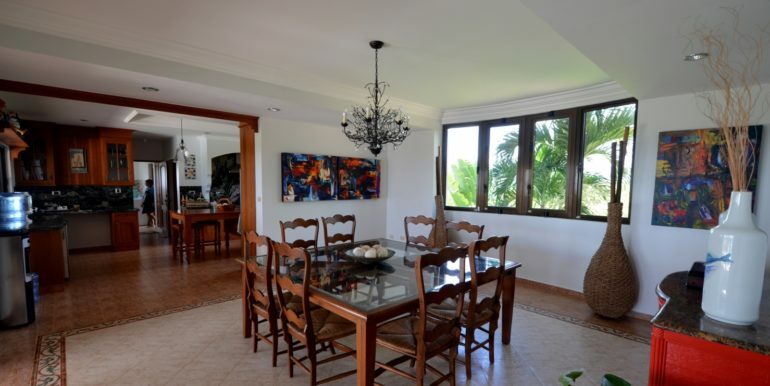 Below, the dining room has a large table that perfectly fits the generously sized room, and next there is the bon vivant kitchen with black granite background and finely crafted wood finish. 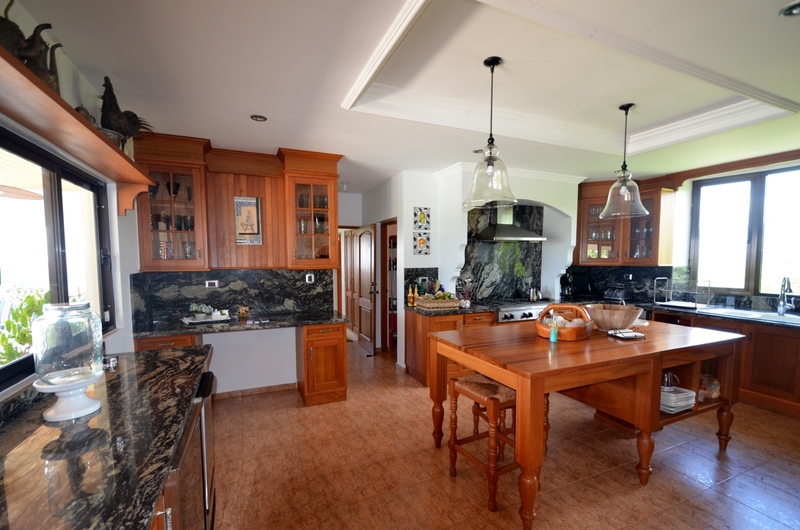 A center island and signature appliances will certainly be a plus for those who enjoy cooking and spending quality time in the kitchen. 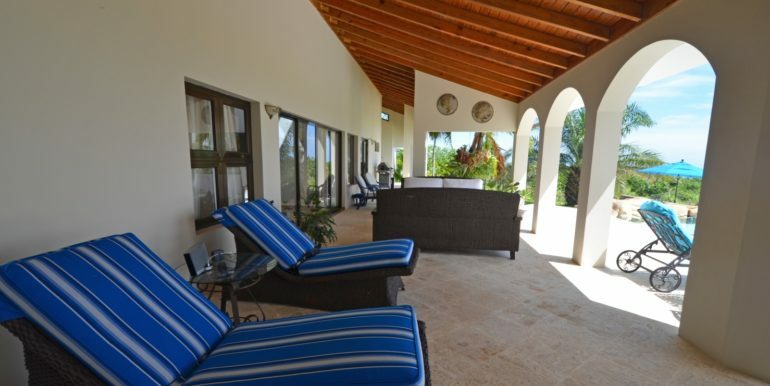 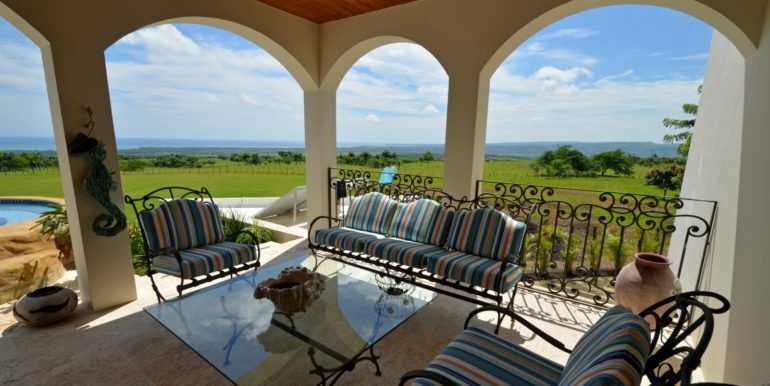 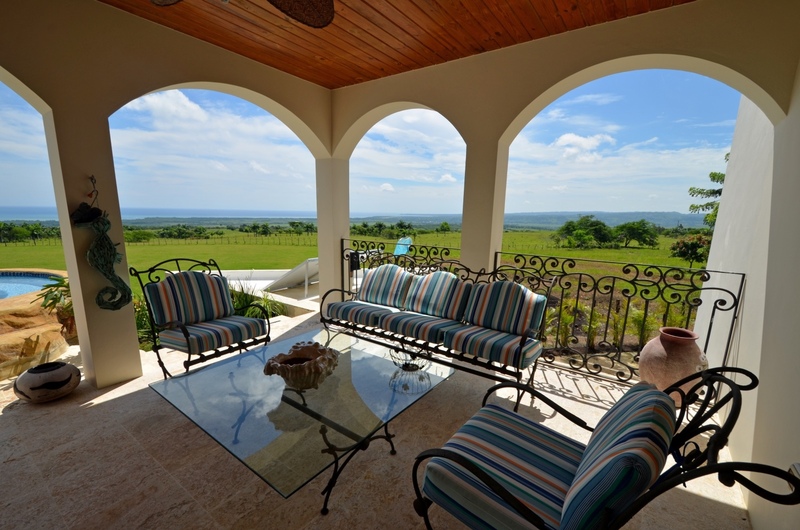 Central air conditioning keeps the house interior as cool as desired on summer days, and the terraces enjoy the Caribbean breezes all year long. 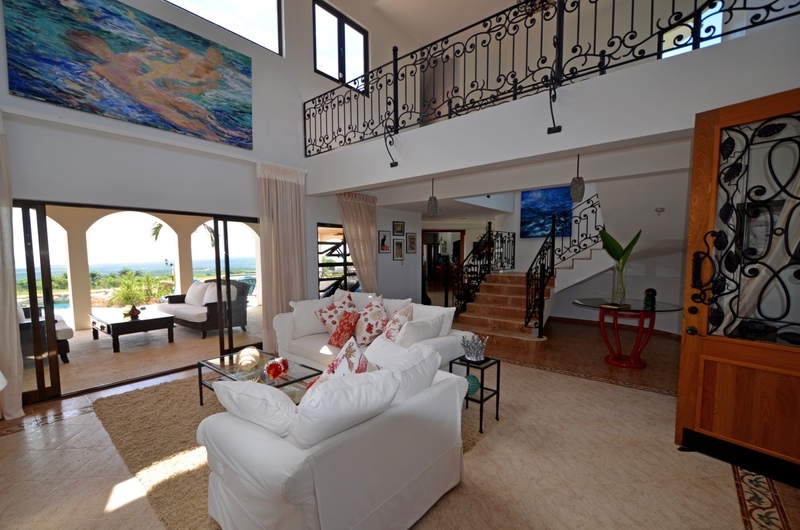 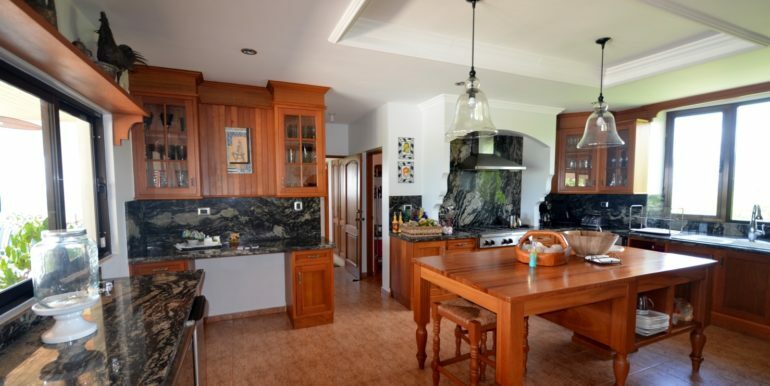 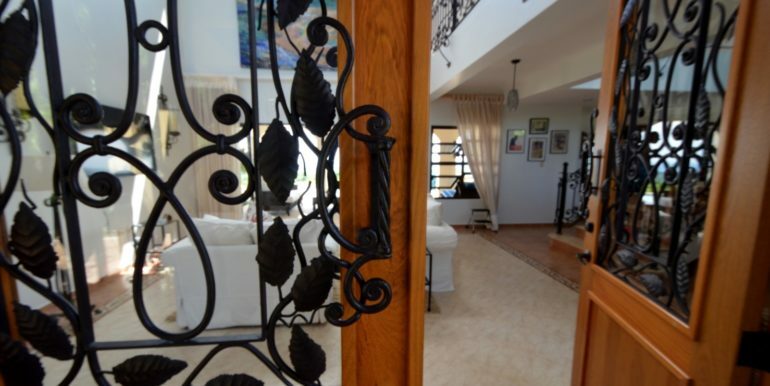 The villa is sold totally furnished, minus some very personal art pieces. 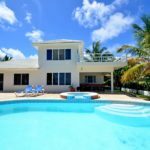 It includes a powerful 35kw back up generator, 7.3 Kw power inverter, alarm, intercom, powered gate, staff, UV water filter, underground garage and storage, and plenty of lounging areas throughout the house. 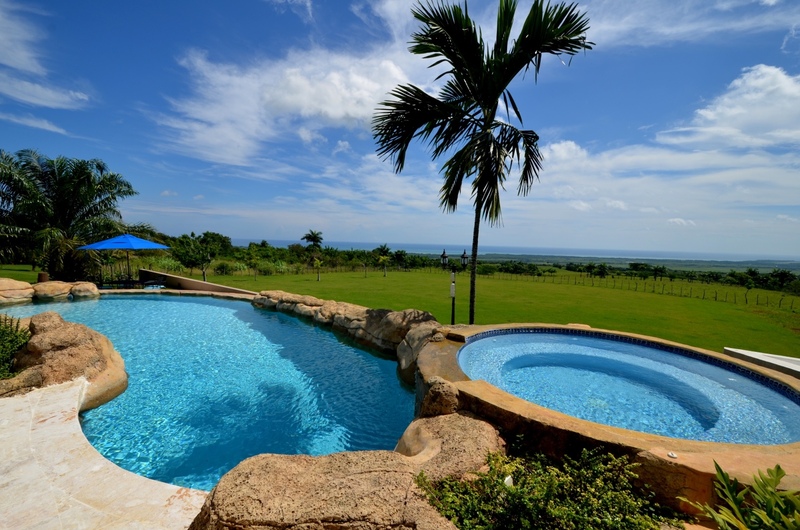 The swimming pool pump is operated with solar panel system, which saves energy costs.